A few weeks ago after a great lunch meeting with some respected colleagues, our conversation turned to “the future of Silicon Valley”, the impending Bubble 2.0, and the worry of our regions sustainability in a modern world where most anything can be replicated most anywhere. I listened carefully to their points and then disagreed (err…..provided and alternative viewpoint). Ok, I went off a little bit. My good friends know I can get passionate and energetic on certain topics and this was a subject I’ve studied for quite some time. My friends questioned: What makes Silicon Valley so unique? Can’t it be copied anywhere? Many of us have heard this question posed over the years. There’s been a consistent answer provided from several extremely respected sources that says “Yes, it can”, but wherever it’s created must contain the same core intellectual, cultural, and economic assets that make this place so unique (the “ecosystem of unique assets argument”). Intellectual Assets: A constant source of highly educated base (Stanford, Berkeley, UCSF, others). Cultural Assets: A high appetite for risk and innovation that we find literally in the DNA of generations of California entrepreneurs dating back to the 1848-1855 Gold Rush and the ensuing “Great Railroad Rush” (1863-1873) led by Central Pacific Railroad and the Big Four (Stanford, Crocker, Huntington, and Hopkins). Large Financial Assets: Abundant “risk capital” led by a core set of wealthy individuals and Venture Capitalists who are willing to bet 1-2% of a Limited Partners assets on the hopes of turning it into a 10x-100x return. All three core assets have been cited over and over as the requiremrent to establish a sustainable “Silicon Valley” anywhere else in the world. We know this “ownership argument” when it relates to home ownership as a critical financial underpinning of America’s economy. We witness “ownership culture” every time we walk into our favorite neighborhood family run business. We see true ownership in small teams and very early stage startups. There’s a powerful and passionate emotion created in the human spirit surrounding owning something meaningful. When people feel connected, they act in a connected way. There’s an above-and-beyond and never-give-up mentality we experience to ensure something we’ve put our blood, sweat, and tears into doesn’t fail. We describe these people typically as entrepreneurs and founders but I believe that’s too limiting. I think of this group of people as simply “owners”. When done correctly, owners can and should be everyone in your company. We’ve all heard the anecdotal stories of the best business ideas coming many times from the lowest level factory line workers. All that was required was asking “them”, empowering “them”, and recognizing “them” for their impactful ideas. We’ve also heard the corollary of the disconnect between most task workers in companies and the upper management nincompoops (think Dilbert). Well, “They” are “Us”. Great companies create an “all-one-team” culture and recognize and reward everyone as owners of the company. Startups in Silicon Valley naturally create the “we all own part of this”. Anyone who has been early at such a startup knows the powerful effects this mentality has on getting stuff done and the direct link to a company’s success. Then, many times, somewhere along the success curve, these same companies forget about ownership and instead start focusing on “market value”. They begin protecting too much and degrade to short-term focus. If this is you or your company, it’s time to get back to those roots and re-implement an ownership culture where everyone “owns a part of this”. It’s easier than you think. You did it early on. Start holding those impromptu or regular Friday afternoon beer and information sharing sessions. Communicate more. Don’t assume everyone is getting the fidelity of information required to be an “owner”. By doing so, you can create (or get back to) that unbelievably powerful connection between the people and the business. An Ownership Culture is a Trust based culture which in turn creates an efficient decision-making culture. Of course, an effective and efficient decision-making culture requires information sharing with all the owners. All owners need sufficient information in order to make proper daily decisions. And that means more Transparency. Trust + Transparency are the key ingredients to successful ownership. Ownership means a passionate focus at all levels of constantly improving product quality, stamping out bugs, and satisfying the customer and/or the end-user. The best owners focus on the complete life cycle of the customer experience from first impression, to creating pleasant and unexpected surprises, to passing on the customer to the next generation. Ownership means everyone at all levels is accountable and responsible for their respective activities. The Accounts Payable person coding invoices to specific product lines which enables everyone to “see” where the company’s money is being spent can be just as passionate about her contribution to the overall success of the business. Ownership means committing and connecting everyone’s heads and hearts to sharing in the success of the team. It means being the CEO of whatever your specific role is. (future post coming on this concept). Oh yeah, and by the way, Ownership is the opposite of entitlement. Starting with Transparency and Trust, share as much information as possible. Bring your employees in on the decision-making frameworks and ask them for their ideas.. Treat employees as if they are owners and they will likely live up to your expectations. Loyalty will thrive. Value will soar. I’ve seen the best people-centric company cultures evolve from communicating Total Compensation Statements to Total Comp & Benefits Statements to a Total Rewards Statement. The next logical evolution is to distribute something I’d like to see called “Total Ownership Statements” to all employees – a personal quarterly and annual report connecting it all; the company’s activities and success + each employees activities and success + the employees ownership. At Mozilla we have semi-regular all hands sessions in which we do our best to share with everyone the current status of our products, projects, industry and market updates, our internal metrics, and our financials. We share our complete board slide deck with all employees shortly after each board meeting. 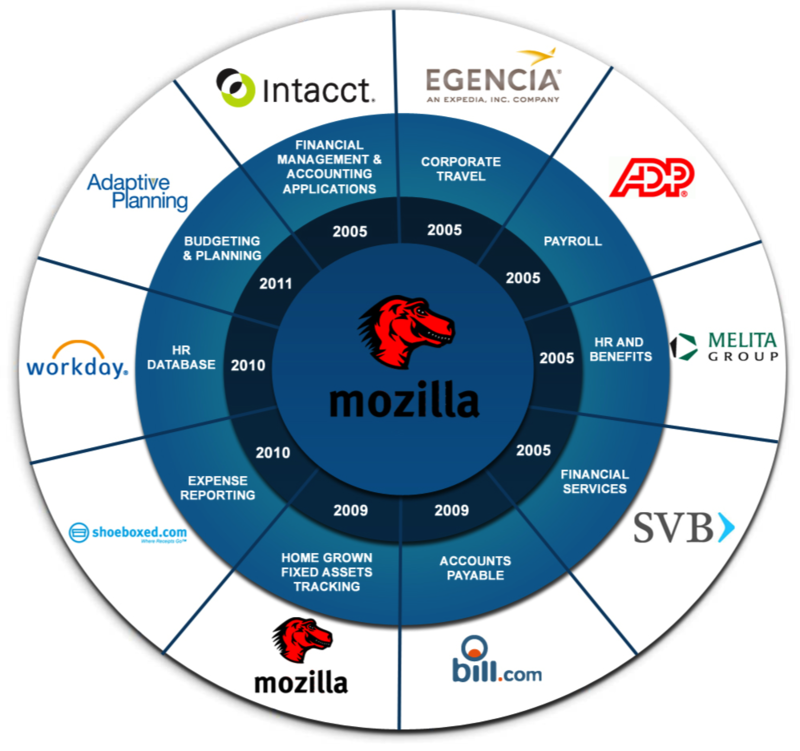 We publish our financials publicly even though we are not a public company (Mozilla is private, non-profit based). And yet, no matter how much or how often we communicate such information, I get regular employees feedback that our communication is not nearly enough. A consistent question I get from employees in Q&A sessions after each session is “How are we doing,really?” Even at Mozilla, employees are seeking more transparency which inspires more confidence and comfort for them. I believe regular Total Ownership Statements may be the beginning of a better answer. What is this document? Imagine your shareholder’s annual report, except this one emphasizes the interests of employees. This report is an opportunity to educate employees on the company’s financial goals—to create business literacy among the work force. Over two years ago, I was attending one of our quarterly Alliance of CEO’s keynote speeches (I’ve been a Director/Moderator of Group 307 since 2007). The speaker was Bob Johansen and he had just published a new book called Leaders Make the Future: 10 New Leadership Skills For An Uncertain World. One of his premises was the concept of the new VUCA world we are all living in. I began taking furious notes on my notepad. I recently dug out these notes and it’s time to transcribe them here. Bob argued we are in a time of disruptive leadership change. In a VUCA world—one characterized by Volatility, Uncertainty, Complexity, and Ambiguity—traditional leadership skills won’t be enough. We are now in the midst of a threshold decade: our natural, business, organizational, and social systems will reach tipping points of extreme challenge, and some of those systems are likely to break. However, such disruption can spark new opportunities. Fortunately, virtual leadership tools in the emerging world of cloud computing are making new strategies for smart-mob organizing possible just at the time when it is becoming most necessary to work together in new ways and at great distances. I believe that the more connected we are, the safer, freer, and more powerful we will be. But there will be frightening downsides: the more connected we are, the more dangerous it will become. Leaders will need to make new links and organize people for action— yet also protect against dangerous hyperconnectivity like we see in global financial spasms. It is good news that we are more connected than ever before, but leaders must now learn to lead in ways that make full use of the new connectivity of cloud-served supercomputing— while minimizing its considerable risks. A forecast is a story from the future that provokes insight in the present. Nobody can predict the future, but you can make forecasts: plausible, internally consistent, and provocative views of what you think could happen. The best forecasts provoke insight and invoke action. This book uses forecasts to provoke insight about leadership. Last summer I attended a week-long course from Stanford’s GSB executive education program that has become an inflection point in my approach to life. The course was called Interpersonal Dynamics for High Performance Executives. It’s name didn’t do the class justice. What transpired for me during the week was a reawakening helping me to begin reestablishing internal pathways connecting my head with my heart in a powerful combination. I’ve known I’d been living “in my head” for quite some time. It was convenient. It was comfortable. Being a CFO and a finance and operations professional for 20 years has made it too easy to over-rotate to a left brain, analytical approach to the world. Driven by data, requirements, metrics, and complex models – I was in my element. It was easy for me in Silicon Valley’s fast-paced competitive arena to get out of balance in the intellectual sport of economic king making. In recent years, however, I found myself wanting more and deeply missing something both in business and in my personal life. I had forgotten to, or rather gotten out of practice with, truly connecting with others on an authentic level and simply “keeping it real”. From a historical perspective, I’ve always been a people person and knew nothing other than being real and keeping it real. I grew up in small towns of Northern California (Tiburon until I was 11) and then the heartland of Ohio (Tiffin; 11-18) where families and friends always came first. I received an engineering scholarship and attended USC, joined a fraternity (Phi Delt), and easily connected with many friends. My first job was in Silicon Valley and when I left Intuit in 1996, my close colleagues gave me a very expensive pen/pencil set inscribed with “It’s the People” – a motto I helped contribute to when we compiled and published Intuit’s now famous operating values. At some point thereafter, I gradually became unbalanced in my approach to my business life which also began impacting my personal life and “connecting habits”. Over the last several years, I’ve been finding my way back to a more balanced center thanks primarily to a renewed focus on friends and family as well as finding an amazing culture in Mozilla. Mozilla has proven to be an amazing breeding ground for my personal learning with a primary focus on operating openly, leading with communities, and how transparency and trust are are required for influence and impact. Since my powerful week at Stanford, I’ve been playing with many concepts and “trying them on”. Feeling = the Heart; the Output; the true value of why we sense and think. Most importantly, feelings and emotions are an “Importance Dashboard”. The higher the emotions, the more important the subject must be. Therefore, I’m learning to lean into and explore the highest emotional discomfort. Data and Dashboards are things I’m naturally good at and now I have other tools to help me begin to connect. Other learning from my Stanford week included an understandable and ever-present dynamic when two people attempt to communicate. Two of these dynamics are mostly invisible and feeling based while Behavior is the only visible reality of any communication. Interestingly, I learned that if I didn’t share what I was thinking and feeling concerning how I was being impacted by others behaviors, that these “others” would naturally fill in the blanks for me. Worse, I realized I probably wasn’t being truly “seen” and/or I was losing control over how I was seen. In this world of non-sharing, my best outcome would be that others assumptions would only be directionally accurate and in the worst outcomes completely wrong. Ouch. So, I’m course correcting and learning how to ACT better by being more Authentic, Connected, and Transparent. I learned about Vulnerability (an extremely powerful concept – quite the opposite of showing weakness). Ultimately I’m learning how to begin to establish better Trust and by doing so to be a better leader with much greater Influence. I’m on a mission to re-connect my heart with my head in a powerful bridge and I hope to share this learning with others…starting with this post. Deep thanks go out to Stanford’s David Bradford, Carole Robin, and Tony Levitan, as well as my fellow group. In addition, I thank Deb Cohen who pushed me to take this class and finally many deep friends at Mozilla who have helped be understand “open”, “transparent”, and the power of being “connected”. Serendipity: As I was putting the finishing touches on this post, @StanfordBiz Tweets to Ask: “In 5 words or fewer, what does “power” mean to you? I replied by Tweeting: ACTing OPENly; Authentic, Connected, Transparent. And so my sharing journey begins…. You are currently viewing the archives for February, 2013 at Cook's Connections.